Are you happy with your social media efforts in 2015? Do you want to improve the quality and effectiveness on social media in 2016? Want another set of eyes to review your current activity? Not sure whether it's on the right track? As a fellow small business owner I fully appreciate how challenging it can be to keep your social media presence consistent and effective. Which is why I want to offer you this opportunity of having a social media review. A social media review will allow me to help you get your platforms on track for 2016. 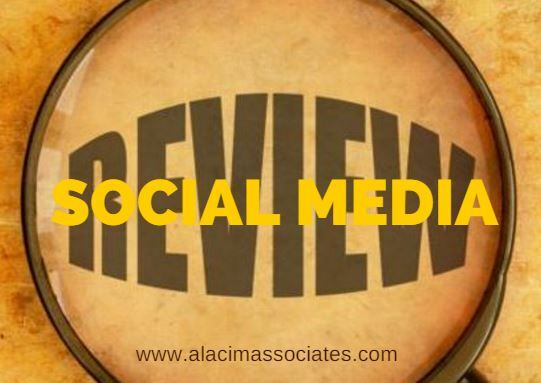 What your social media review will entail? I work across many social media platforms everyday working with small businesses like yours. Those businesses are assured of consistency and content that enables them to get on with what they do best knowing that they do not have to worry about their social media presence. So let me be your social eyes and ears and click here if you would like a social media review.